With the advent of powerful computers and the availability of unlimited storage capabilities, artificial intelligence (AI) has made its way into mainstream applications – heralding the fourth industrial revolution. While the notion of what ‘artificial intelligence’ means has undergone significant change since its introduction in 1956, today’s typical AI is broadly conceived to “perceive its environment and take actions that maximise its chance of successfully achieving its goals”. This may involve reinforcement learning, where goals can be set explicitly or implicitly by rewarding some types of behaviour and punishing others, or by a fitness function allowing for mutation and preferential replication of high-scoring AI systems in an evolutionary system. AI may be implemented in self-optimising software or hardware that regularly requires vast data amounts (known as ‘big data’) for training response behaviour. Recent achievements in AI demonstrate its considerable impact on science, businesses and private life. AI is used as a powerful tool for identifying chemical compounds, alloys and medication and for designing electric circuits, antennae and mechanical structures. It is also used for pattern recognition tasks in various application areas (eg, medicine for radiology and cancer diagnosis), quality management and for identifying individuals in vast data collections (eg, face recognition). Virtual assistants like Siri (2011), Google Now (2012) and Cortana (2014) use natural language to answer questions, make recommendations and perform actions. AI is even paving the way for autonomous driving to be safer than the driving of an average human. AI empowers automated language translation to the point of outperforming humans in cost and speed at a comparable quality level (eg, deepL and Microsoft, 2018). It allows for synthesising the realistic speech and facial expressions of individuals. Google DeepMind’s AlphaGo defeated the professional champion of Korean Go, reputed to be the most complex game in existence. AI-boosted chatbots trained with the vast collection of social media correspondence can communicate in natural language like humans, along with common natural imperfections (eg, to make a table reservation in a restaurant (Google, 2018)). AI is no longer confined to expert systems and it is now possible to process both exact and fuzzy data at the same time. With today’s AI capable of assisting, or even replacing, repetitive mental acts and simulating mental achievements that were previously believed to require substantial creativity, it is foreseeable that in the future AI will simulate creativity to the extent where it will become difficult to distinguish from human behaviour. Accordingly, AI is present everywhere, including in the patent system. So, what can businesses do to make their patent strategy ready for the future in the wake of AI? Undoubtedly, the major patent offices worldwide are in a key position to register upcoming technological developments at an early stage. Recently, the European Patent Office (EPO) sensed the need for broader debate among patent professionals and organised roundtable events to which it invited peers, as well as judges, professors and companies from around the world to discuss the impact of AI on the patent system. The EPO took the opportunity to collect and share ideas in order to find common ground in terms of parties’ needs and concerns. This will be reflected in its Guidelines for Examination, which are currently being revised and will be published at the end of 2018. It is generally accepted that the skilled person – who is deemed to be the fictitious person holding the patent legal yardstick for assessing what is made available to the public and whether an invention is new, involves inventive step and is disclosed in a manner sufficiently clear and complete for it to be carried out – is empowered by AI serving them as a significant tool. AI will assist the skilled person not only with prior art searches, but also with recognising structures, patterns or technical teachings, and will ultimately determine which technical teachings are within their reach. AI substantially affects the skilled person’s general knowledge, as it belongs to the intellectual toolbox that the skilled person relies on when performing due tasks. Also, it may not be excluded that an AI system operating on a given training data set may lead to a new source of disclosure that goes beyond the established written and oral manifestations, or through public use, with which information may be made available to the public, namely “in some other way” (Article 54 of the European Patent Convention (EPC)). Further, AI will likely challenge the customary concept of ‘technical field’ that limits the skilled person’s horizons and which, in the past, has been generally determined by the problem that the invention purports to solve, because AI may no longer be bound to the limitations of a technical field, at least not in the way established at patent offices through regular practice. If a non-AI related invention that is found to be inventive by the conventional skilled person is made in a context that is within reach of the combination of AI and a skilled person from a different technical field, this invention may be regarded as lacking inventive step. The patent prosecutor should consider this and keep an eye on whether the invention is located within reach of an AI, in order to ensure that sufficient room remains over the prior art as seen from the perspective of the AI-empowered skilled person. AI methods per se may be regarded as non-inventions. If found not to go beyond mathematical methods (Article 52 of the EPC), such AI methods may be excluded from patentability. This may be the case if a generic technical implementation or mere programming is claimed, even if it may be more efficient in some way. This so-called ‘technicality hurdle’ may be overcome by introducing technical features (technical means) into the claim to establish a technical character of the claimed subject matter (eg, by directing the claim to a specific technical implementation). As the current discussions stand, the EPO takes a rather non-restrictive approach in this regard. Particularly for the purposes of discussions on novelty and inventive step, the patent prosecutor may consider including in the patent application a quantifiable technical parameter and a corresponding test which demonstrates that claimed subject matter provides for a measurable technical effect. by precisely defining the training database. The patent prosecutor may consider including in the patent application more than one claim per category describing the invention from different perspectives, and may consider including as many categories as are useful for adequately describing the scope of the invention made. This higher number of claims will lead to discussions with some patent offices (eg, Rule 43 of the EPC) but may provide helpful options for overcoming potential enforcement problems later. For AI-related inventions, the EPO takes the approach that all features contributing to the technical character must be taken into account for assessing novelty and inventive step. These also include the features which, when taken in isolation, are non-technical, but which in the context of the invention contribute to producing a technical effect serving a technical purpose, thereby contributing to the technical character of the invention. The problem-solution approach is then applied to these inventions in such a way as to ensure that inventive step is not acknowledged on the basis of features not contributing to the technical character of the invention. In this regard, for establishing inventiveness, one may resort to the practice established in the context of chemistry and medical uses where tests help to quantitatively identify a technical effect. Including objectifiable parameters and corresponding meaningful tests in the patent application may prove extremely helpful. For the purpose of contentious proceedings against competitors (for nullity complaints, opposition proceedings and infringement proceedings if prior use rights are concerned), it may be useful to maintain documentation of AI, its training data set and capabilities for the purpose of demonstrating what has been within reach of the skilled person and for evidencing the currently evolving state of the art within the company. With software-implemented AI-related methods, it may be difficult for the patentee to prove acts of infringement to a degree sufficient for the courts. This may lead to an enforcement problem for AI-related patents. While there seems to be no general remedy to this problem, different jurisdictions may provide different alleviating legal instruments – for example, a discovery proceeding (available in the United Kingdom and the United States), a seizure of counterfeit proceedings, a right to inspection or a reversal of burden of proof if the product of a claimed process was new at the priority date (see Section 139(3) of the German Patents Act). As AI systems acquire the ability to provide new and non-obvious technical solutions (ie, a patentable invention), the question arises of who should be awarded patent protection for this invention. According to patent law, the inventor is entitled to file the application for a patent. Traditionally, the inventor is implicitly considered to be a natural person, but patent laws do not necessarily require this explicitly. This implicit assumption was based on the observation that only the human mind is creative and can come up with an invention. However, with the progression of AI this is changing, and accordingly the notion of who can be an inventor may also change. For example, it is common that non-humans can own property, in fact most patents are owned by legal persons in the form of corporations. Also, new forms of legal person have been created over the centuries and it is conceivable that in the future the law will attribute the status of a legal person to an AI. In this case, the AI may own the invention that it made. Alternatively, and possibly more realistically, inventorship will still be attributed to a natural person in the future, even if the invention was made by an AI. In such case, several natural persons may qualify as inventor. First, there is the owner of the AI who has the burden of investment, and then the AI programmer and user of the AI will qualify as potential inventors. As the owner does not contribute anything creative by merely owning the AI, the AI user seems the obvious choice for inventor; however, their actual contribution may be minimal when compared to the contribution of the programmer or people training the AI up to the point where it can perform the task of inventing. On the other hand, patents are also not awarded to the teacher that trains the engineers who later become inventors. Ultimately, it appears most in line with the traditional patent system to award inventorship to the user who used the AI to solve a technical problem, however small the contribution to the solution was. There is much room for debate and the key economic-political question remains to be answered – what patents should be awarded? What does the mid-term future look like in the patent world in view of ongoing AI developments? One of the central questions is certainly what type of work will be replaced by AI. It seems already achievable to replace sections of administrative work, such as the work of a patent administrator in a patent department or law firm, or likewise the work of the formality officer in a patent office. But what about prior art searching or patent application drafting? No doubt the possibility of AI scrolling through and processing millions of documents within virtually seconds will change how prior art is identified, perceived and assessed. Thus, AI will not only assist but also replace, at least in part, some of the sophisticated work that so far has been reserved to the competence of highly trained experts (eg, attorneys, examiners or judges). It remains to be seen how far the automation of the examination process will go. 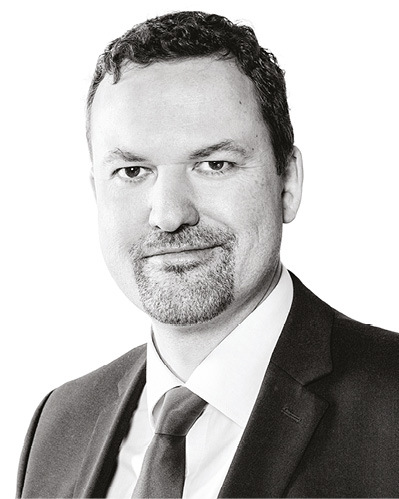 Joel Nägerl is a qualified German and European patent attorney and partner at Zimmermann & Partner, advising and representing international players in high-profile international litigation. He serves as an appointed court expert at the Dusseldorf Appeal Court. He holds a diploma and a PhD in physics. One of his particular strengths is his technical expertise in developing offensive and defensive strategies in litigation. Frank Steinbach is a partner at Zimmermann & Partner, advising major international players on strategies for complex patent portfolios. He holds a diploma and PhD in physics and is a qualified German and European patent attorney, US patent agent and certified European patent litigator. His work has a particular emphasis on the interplay between prosecution and national cross-border litigation. 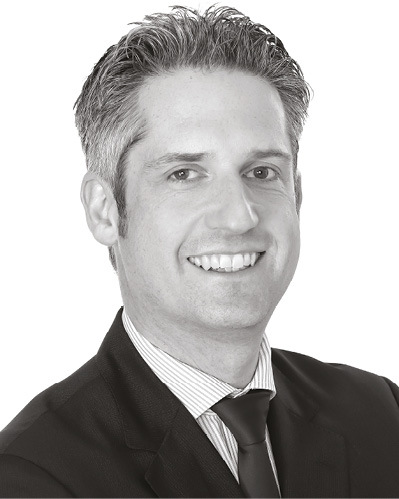 Benedikt Neuburger is a partner at Zimmermann & Partner, advising a number of large international entities on their patent portfolio strategy with particular focus on prosecution and oppositions. 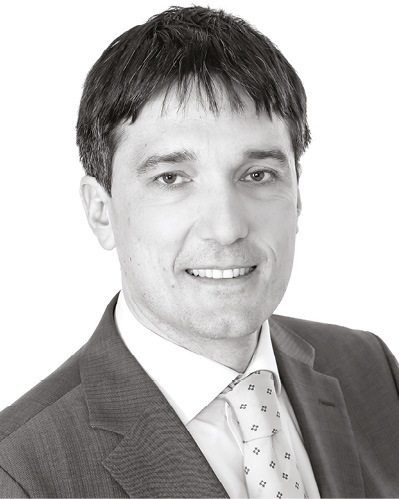 He holds a diploma in theoretical physics, a PhD in economics and a master’s in business research, and is a qualified German and European patent attorney. He is involved in a large number of opposition and appeal proceedings. One of his particular strengths is his focus on procedural strategy and the legal aspects of cases.